Don't become a preventable statistic! Oral cancer causes one American death every hour. For the last 40 years, this mortality rate hasn't changed. But with early detection, there is a 90% cure rate for oral cancer. That's why we conduct a visual screening for oral cancer at every six-month checkup and cleaning. If Dr. McCormick or our hygienist sees anything that warrants concern, they'll refer you to an oral surgeon. This screening could mean your life! STA is the first computer-controlled local anesthetic system. STA allows the dentist to be more precise and deliver anesthesia more comfortably and painlessly. The need for a medieval-looking traditional syringe has been replaced with a much smaller, less intimidating, and easier-to-control pump. 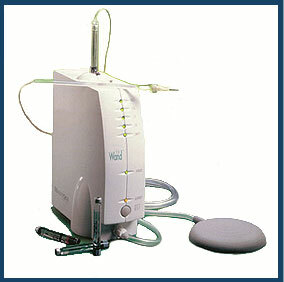 This technology has been clinically proven to provide a pain-free injection for most patients. Anesthesia delivered through STA lasts just as long as traditional anesthesia to keep you comfortable during treatment. Don't Hide Your Smile – Remake It! Here's to achieving your best smile! We prioritize the aesthetic aspect in ALL our work because we know that when your smile looks great, you feel great! 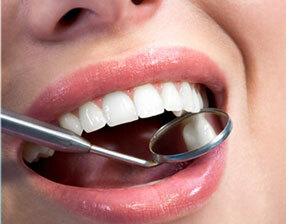 We combine preventive care, tooth-colored fillings, and restorative techniques to promote your optimum dental health. Modern smile transformations are so easy (and affordable!) that there's simply no reason why you can't have the attractive, natural-looking smile you've always wanted. Ask us what implants, crowns, bonding, and whitening can do for YOUR smile!